﻿ Portugal 1-0 France (AET). Against all odds, European champions! 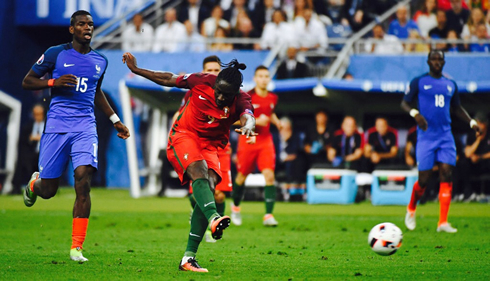 10.07.2016 » Portugal 1-0 France (AET). Against all odds, European champions! 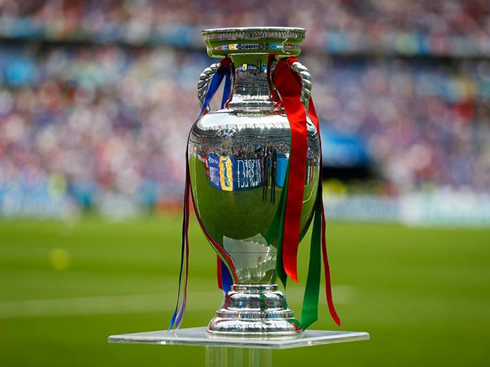 Portugal are the new European champions, after beating France 1-0 in the tournament's final. The winning goal was delivered by Éder in extra-time, in a game where Cristiano Ronaldo had to leave the pitch injured deep in the first half. 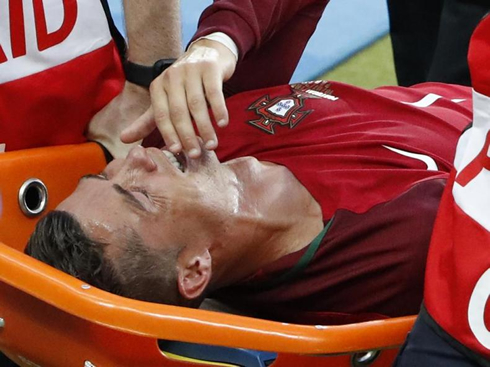 The wait has been long, but at the end, no Portuguese fan will dare to say it wasn't worth it. 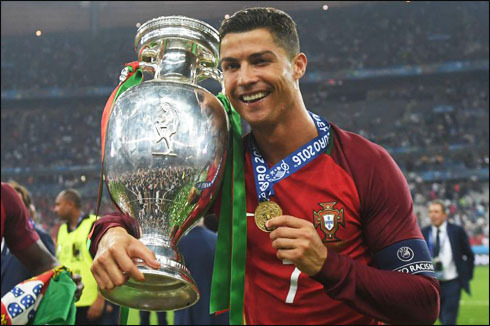 Portugal won the EURO 2016 by beating France 1-0 in the final in their own backyard, finishing the tournament unbeaten in a 7-game run. The match winner came from the Portuguese secret weapon in this final, the 28-year old Éder. 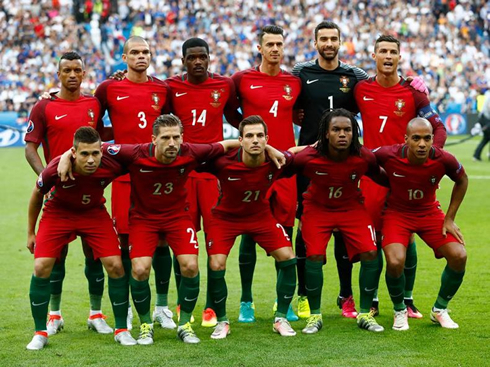 With Cristiano Ronaldo suffering a knock early in the first and being forced to come off still before the first half an hour, the Selecção regrouped, showed the cohesion that allowed them to get to this stage and eventually got the better of France, thanks to a dream goal from Éder in extra time. Now, it's time to celebrate, take a deep breath and try to understand the magnitude of the feat this team has achieved. There it is. Almost against all odds and with Cristiano Ronaldo injured on the bench, Portugal overcame France to become the European Champions, winning their first ever major tournament. With Cristiano Ronaldo becoming a player-manager as time went on, Portugal were able to secure a 1-0 victory over the hosts France through the most unlikeliest of sources: Éder. Yes, Éder, who before this game had yet to score a goal in a competitive match for his nation, scores the game winning goal in extra time, to give Portugal victory over the hosts France. For Cristiano Ronaldo it will be a monumental moment in his career. Finally winning an international trophy, the one prize that had eluded him for so long in what has been an amazing career so far. Watching him on the sidelines today was hard, you could see the agony he was in as he watched on, unable to help. Payet's challenge in the 8th minute did him in, despite his best efforts, as he tried to continue again and again. With Ronaldo off, Portugal prepared for a battle, and as they've done all tournament, they were able to frustrate their opponent, defending excellently and taking their chances as they came. France did have a few opportunities however, as both Grizemann and Gignac came very close. However, it wasn't meant to be for Les Bleus. But it would be Éder's night. Late in extra time, with only about 10 minutes to go before a penalty shootout, he netted the winner. With Laurent Koscielny draped on his back, Éder used his strength to push him off before finishing neatly into the low corner of the net. He peeled away in celebration as he was mobbed by his teammates and coaching staff. 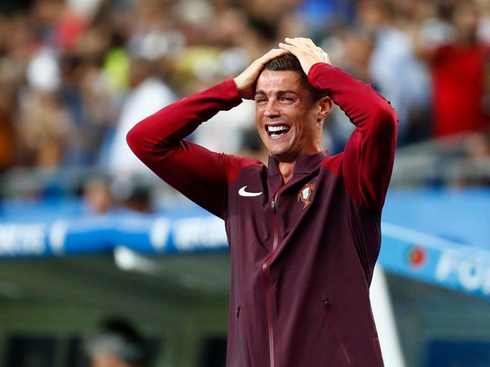 The next 10 minutes would be nerve racking, but Portugal would hold on. Ronaldo sad tears turned to happy ones and he's now an European Champion and certainly the favorite for the 2016 FIFA Ballon d'Or. Cristiano Ronaldo next game with Real Madrid is a pre-season friendly on July 27 of 2016, against PSG. You can watch Juventus live stream, Real Madrid vs PSG, Celtic vs Barcelona, Wigan vs Manchester United, Rapid Vienna vs Chelsea, and Fletwood Town vs Liverpool, all matches provided from our soccer live game pages.